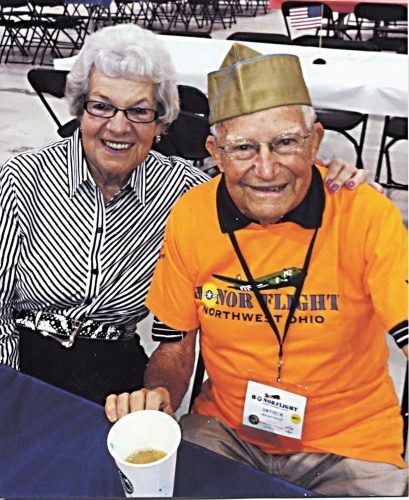 FREMONT – Hayes Presidential Library & Museums is to have a local veteran read part of the Declaration of Independence at the Independence Day concert at 2 p.m.
Korean War veteran Joe Eberly of Fremont is to read the Declaration from the verandah of the Hayes Home. The Toledo Symphony Concert Band is to perform the concert. Admission is free, and guests are asked to bring a chair or blanket for seating on the lawn. WILLARD – Willard is to host the 32 annual Festival in the Park from 4 p.m. Wednesday through Saturday. The festival is full of activities and food. Free swim is to take place 5-7 p.m. daily. The main shows to be featured are The Almost Amazing Rex and Dana at 6 p.m., 8 p.m. and 10 p.m. Wednesday and Thursday; Olde Wrestling at 7 p.m. and 9 p.m. Friday and Saturday; and musicians Kicked to the Curb at 8:30 p.m. Wednesday, Semer Brothers at 7 p.m. Thursday, Tongue n’ Groove at 8 p.m. Friday and 99 to Main at 8 p.m. Saturday. Kids’s day is set for Thursday with Sillie Tille balloon artist and Jungle Island Zoo. Big O’s Amusement Rides also is to be on site. Fireworks are to begin at 10:30 p.m. Friday, and a parade at 5 p.m. Saturday. FOSTORIA — Fostoria Community Arts Council is to present Ryan Hensely and Susan Bright, who comprise The Two of Us, as the performers for the next Summer Concert series at 7:30 p.m. Sunday at the Wainwright Amphitheater in Foundation Park.